Sometimes it can feel easier to connect with clients or suppliers than with our own executive teams. How can we get their attention when they seem not to be interested in us and our teams? Executives are human; they’re individuals with imperfect characters, foibles and personal priorities. They may be struggling to balance the demands of the city, shareholders and their families at home – just like the rest of us! So how can we persuade them to free up time to hear about the work of our team and business unit? How can we make our area interesting and important to them? Here are some tips my clients and I use. By and large executives are not interested in the detail of what our teams do, but in how what we do helps them with their priorities. To explain this we need to understand their priorities and tailor our messages so they are in sync. Whether we are presenting face-to-face or in writing, our messages should be brief and to the point. This means excluding jargon, abstract words and convoluted language. Short sentences and concrete words are the easiest to understand and respond to. Explain clearly why you want the executive to understand the information you are sharing and what you want them to do as a result. Include a timescale and benefit for them. If you don’t have a call to action ask yourself why you are sharing, they certainly will. Anyone presenting to executives should both have and be able to project confidence. If we are not confident in what we are sharing and asking for, why should our listeners have confidence in us? There are lots of options for time with executives. Meeting time booked in their diary is usually via a PA. Lots of five-minute slots can be more useful than 30 minutes. Or presentations to their team with time for questions and feedback. 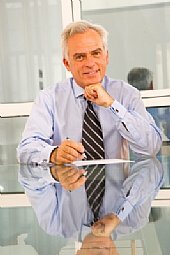 Reports with a well-structured executive summary. Or bumping-into-them-on-purpose in the lift, corridor or staff restaurant will give half a minute to make your point. Don’t take it personally if they say not now, instead ask ‘when?’. Each week I share one small change I’ve found makes a big difference to communications and team working in Transforming Tuesdays. Sign up for your copy here!